So after reading Part 1 Five reasons to use packing cells you’ve finally seen the light and decided to purchase some packing cells? Congratulations! 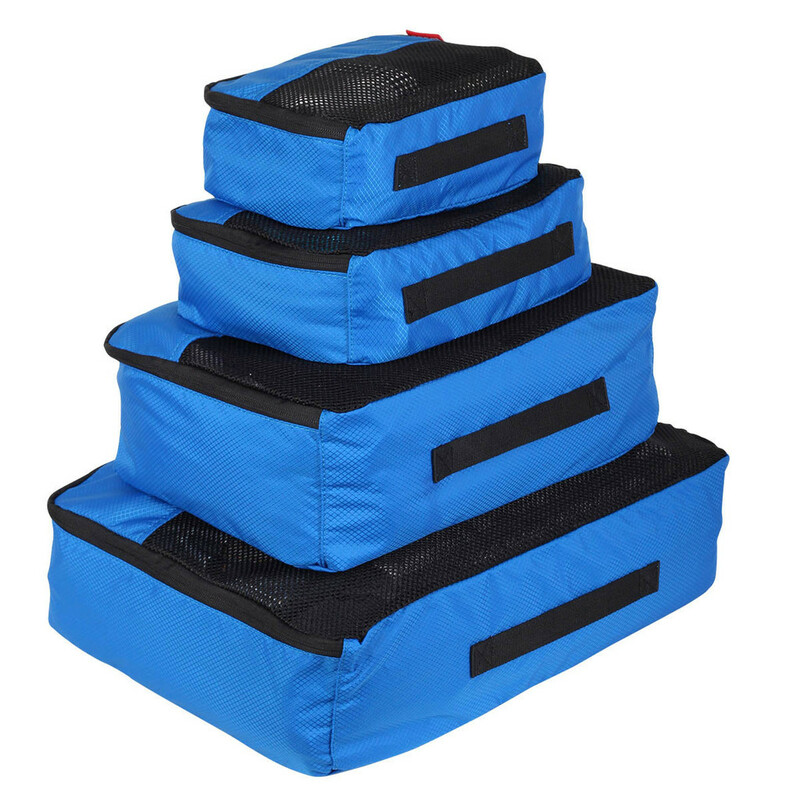 The best place to start is with a set of simple, multipurpose cells. I bought my first cells on sale from Kathmandu several years ago and loved them so much I bought lots more (also on sale) in a variety of sizes and colours. I use them for everything from clothes to electronics and they have lasted extremely well, being as good as the day I bought them. I have since bought numerous other brands in different styles and weights, including La Poche and Flight 001, and while they have earned a place in my suitcase depending on my needs, the most-used are my trusted Kathmandu cells and my new Zoomlite cells. 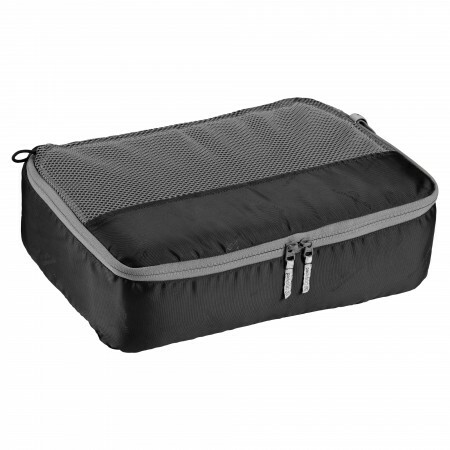 No one wants to add extra weight to their suitcase, so look for cells that are lightweight, but still hold their shape. (I bought some cheapies online that were so flimsy they were hard to fill, which defeats the purpose. Consequently, they never get used.) Some cells are lined for added strength, but this makes them marginally heavier. I was recently sent a set of Zoomlite packing cells to road test and I can honestly say they are the lightest weight-to-strength ratio of any I’ve tried, so they have definitely earned a regular spot in my suitcase along with my trusty, lightweight Kathmandu cells. Look for cells that have mesh panels for breathability. They help keep clothes fresh and you can easily see what’s inside each cell. 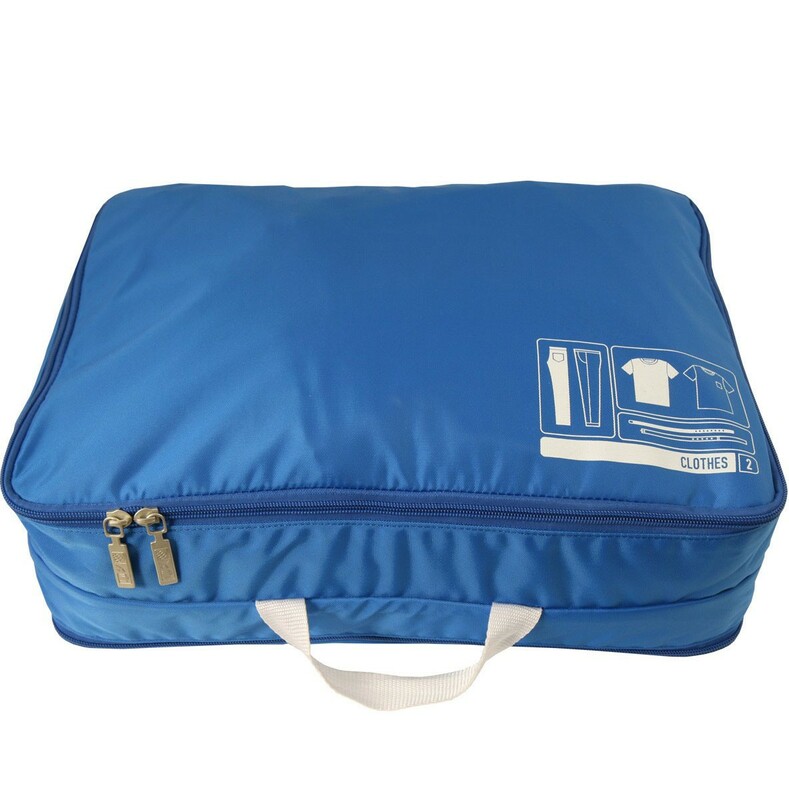 There are double-sided packing cells available, designed for clean clothes on one side and worn clothes on the other side – which doesn’t have the mesh – designed to contain any odours. It’s a good idea, but unless your clothes get seriously stinky, I don’t think it’s necessary. I just air my worn shirt overnight, then fold it and place it at the bottom of the packing cell, so it’s ready in case I need to wear it a second time. 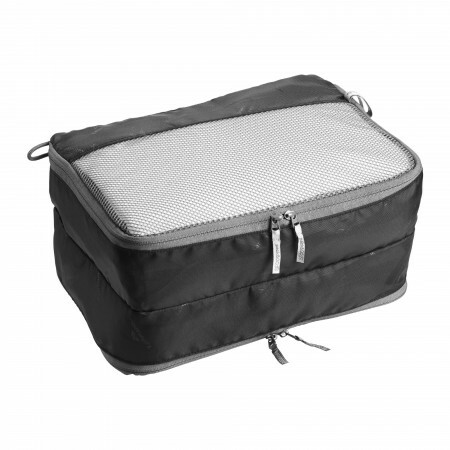 Ensure the fabric, seams and zips are hard-wearing. Packing cells get endlessly dragged in and out of your suitcase, so need to be able to stand up to the tough treatment. Most are made from nylon, which is strong, but make sure the seams are bound and well stitched, and the zips are good quality two-way style. Some cells, like Zoomlite and La Poche, have webbing handles, which are handy, but in my opinion, not actually necessary. Buy a variety of different sized cells initially and test them out to decide which sizes suit you best. 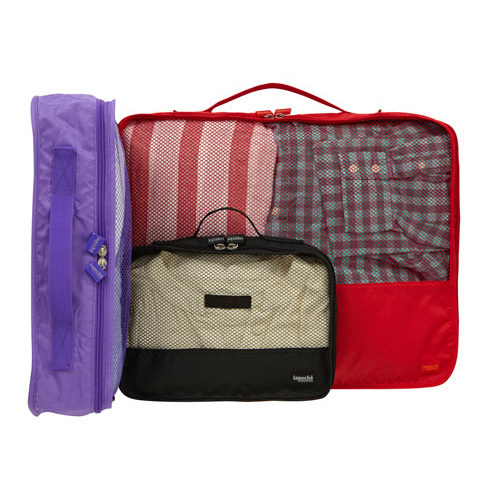 It gives you flexibility for the type of clothes you are taking and the style of suitcase or backpack you will be using. 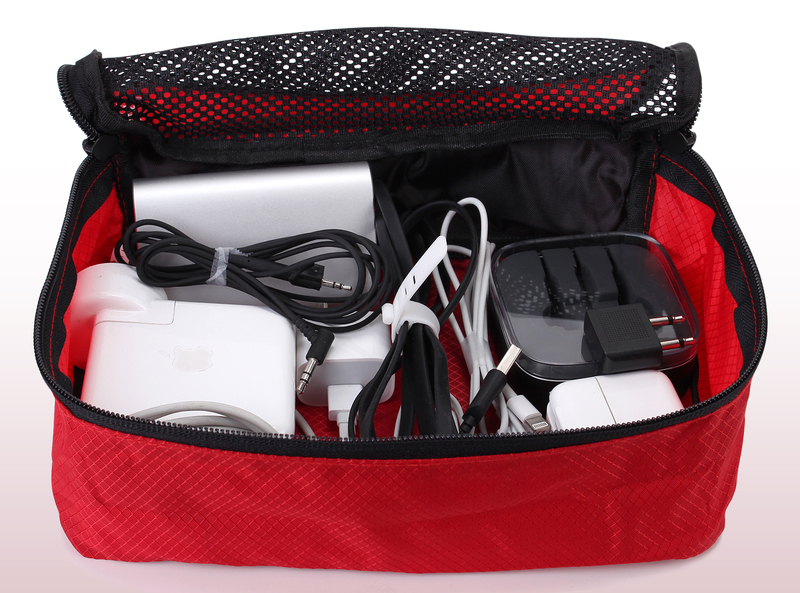 As an example, extra-small is good for cables, plugs and battery chargers; small is perfect for underwear; medium fits folded tops, pants and skirts perfectly; and large takes bigger or bulkier items like jackets. I regularly use two or three medium cells, two small and one extra small, but rarely use the large ones unless I’m packing multiple jumpers or jackets. However, the large ones are perfect for some of my husband’s gear. While you can buy sets of different sized cells in the same colour, I prefer to buy individual cells in different colours, especially because I use numerous ones the same size. That way it’s easy to remember my tops are in the blue cell, my shorts and skirts are in the purple cell, and my formal wear is in the black cell. If you’re sharing a suitcase, allocating each person their own colour or colours works well. That’s my five top tips, which should be sufficient for the average shopper, so feel free to stop reading now and start shopping. But if you crave detail, or are just plain fussy, you might like to read on and benefit from the finer points I’ve picked up through buying way more packing cells than can be considered normal or necessary. The cells produced by La Poche and Flight 001 are lined, so feel a little sturdier, although that increases their weight slightly, but not enough to be a big deal. Some brands have their bound seams on the inside, like Zoomlite, Flight 001 and Kathmandu, which gives them a sleeker look, while La Poche have theirs on the outside, giving the appearance of being bulkier. This difference doesn’t affect the use of the cells in any way, it’s just a matter of aesthetics. More: Once you have purchased some multipurpose cells, you might like to explore the world of purpose-designed cells for items like electronics, jewellery and bras. In part 3 of this post I’ll look at ten different types of packing cells. Disclaimer: I am not affiliated with any of the companies mentioned above and do not receive any remuneration should you decide to purchase from them. I have purchased many of the products mentioned, with the exception of the Zoomlite cells, which were sent to me for review. My opinions are honest and unbiased. 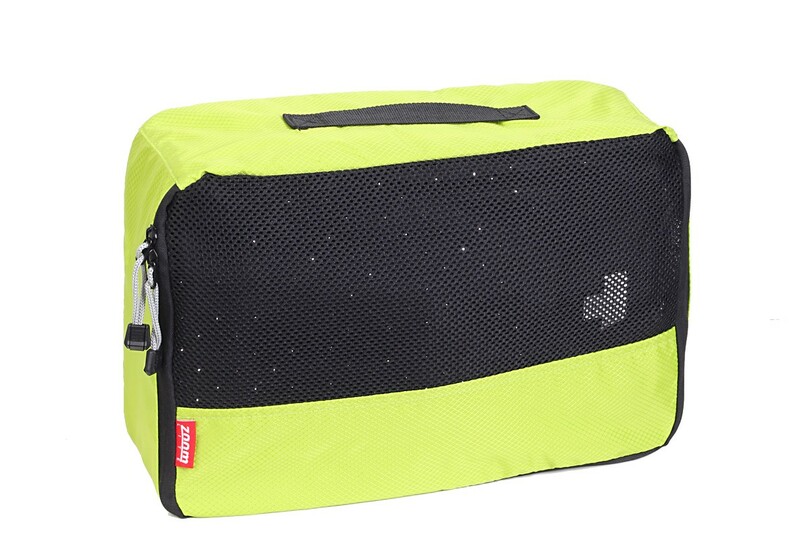 This entry was posted in Packing Tips, Travel, Travel Accessories & Gadgets, Travel Gifts and tagged Kathmandu, La Poche, packing cells, travel accessories, travel cubes, Travel gadgets, travel packing accessories, travel packing cells, travel packing cubes, Zoomlite. Bookmark the permalink. Very useful tips, Briar! I will keep this in mind! Thanks Agness! Glad you found them useful.